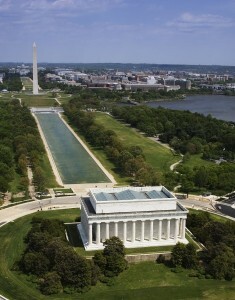 National Mall, Lincoln Memorial and Washington Monument, Washington D.C.
Lokker Law PLC is committed to serving the legal needs of our clients with vision, integrity, and experience. Our goal is to provide the best legal representation available, at a fair and reasonable cost. The firm represents franchisors, franchisees, and other business clients in a wide range of legal matters, including litigation, arbitration, and counseling. Ellen Lokker draws on nearly 30 years of franchise and commercial law experience in helping clients resolve business disputes and make sound business decisions. We make full use of state-of-the-art computer and communications technology, enabling us to offer big-firm services while maintaining small-firm personal attention to clients. Our commitment to a technologically enhanced practice also allows us to reduce our support costs and pass those savings on to our clients. We are pleased to provide this online guide to our practice, and we hope that you will find it useful in getting to know the firm. If you have a need for legal services, we invite you to contact Ellen Lokker to arrange an appointment. All materials on this website have been prepared by Lokker Law PLC for informational purposes only and are not legal advice. This information is not intended to create a lawyer-client relationship, and receipt of it, whether online or by any other means, does not constitute such a relationship. Do not act upon any information on this site without seeking professional counsel. Do not send documents or other potentially confidential information to the firm until you speak with Ellen R. Lokker and receive her authorization to send that information.